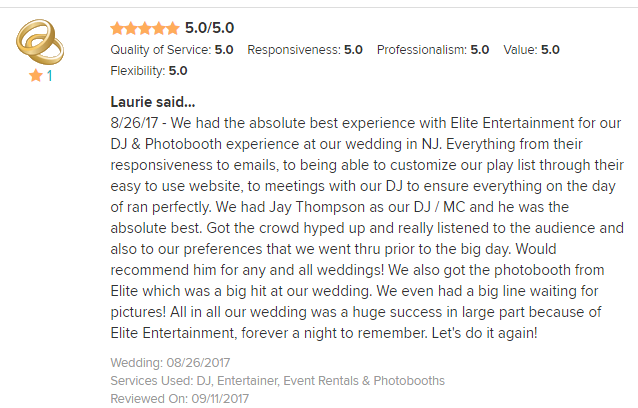 Jay is one of the most sought after emcees not only at Elite, but in all New Jersey. 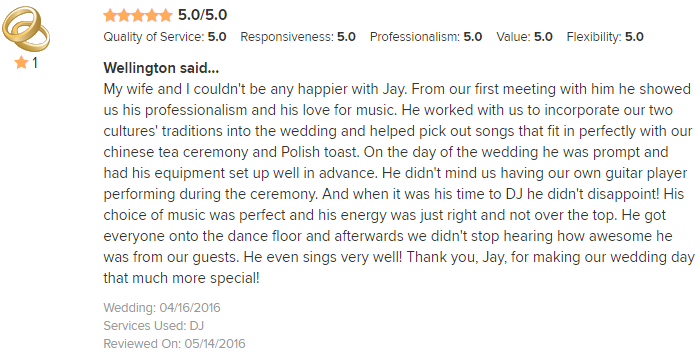 He has taken home the coveted “DJ of the Year” award so often we might just name it after him eventually. 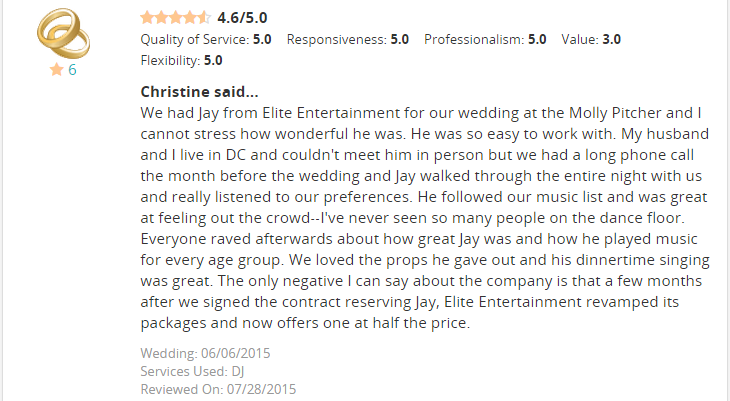 Jay has been a part of the Elite Family since 1999 and his referrals keep our phones ringing all year long. 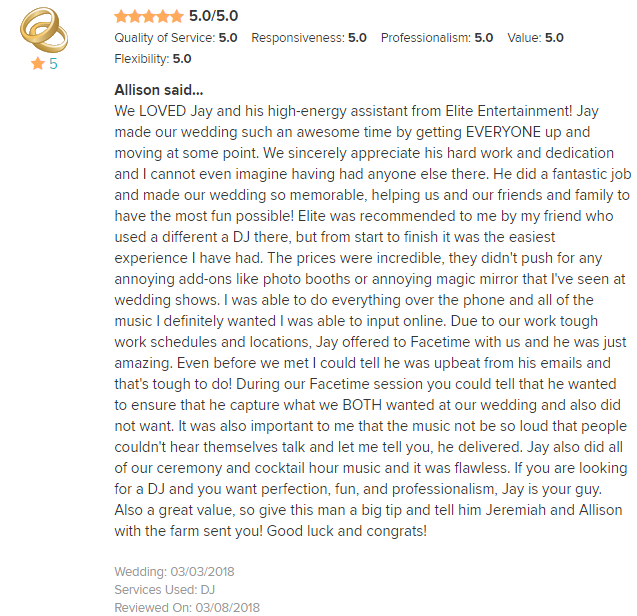 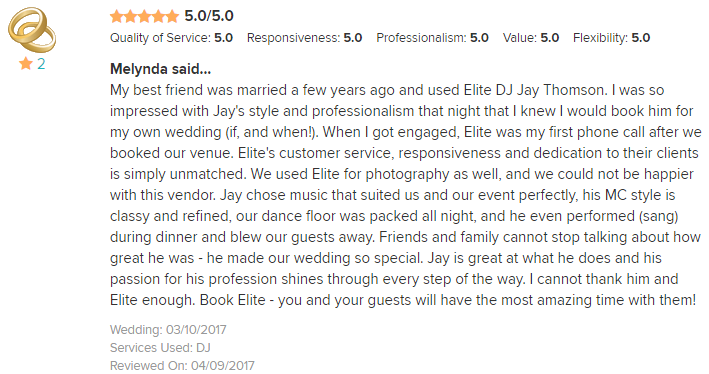 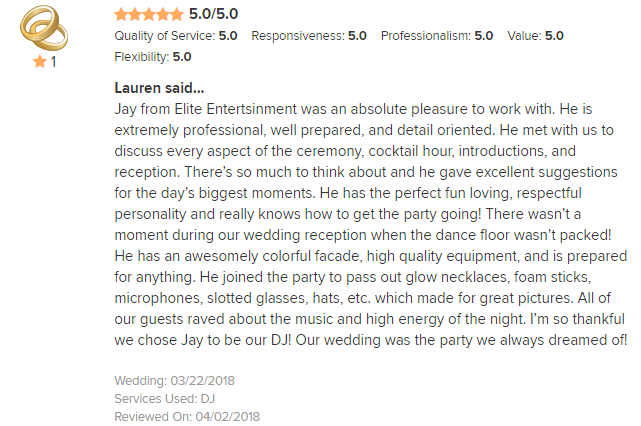 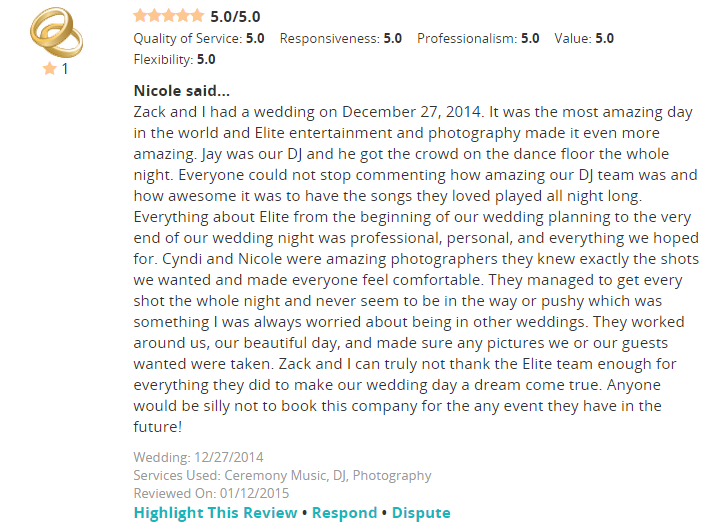 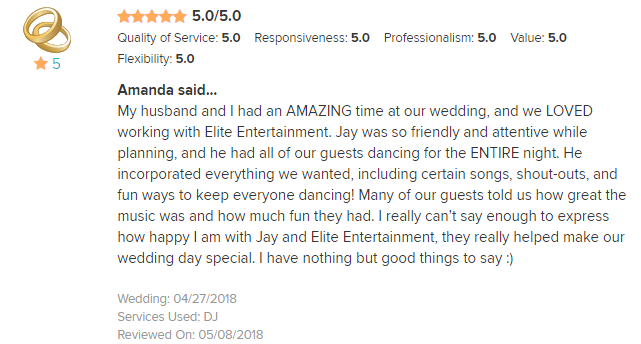 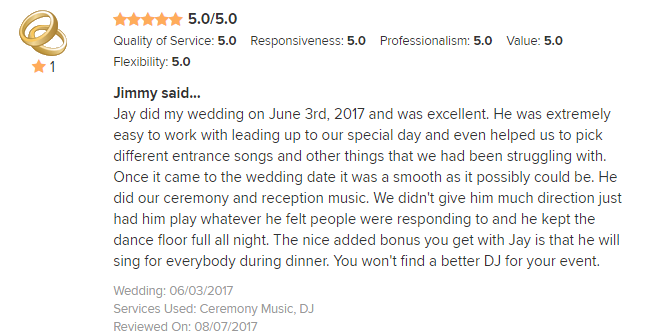 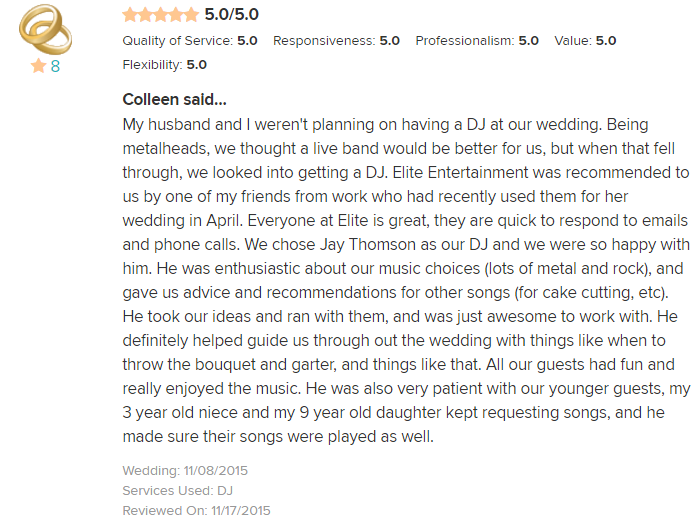 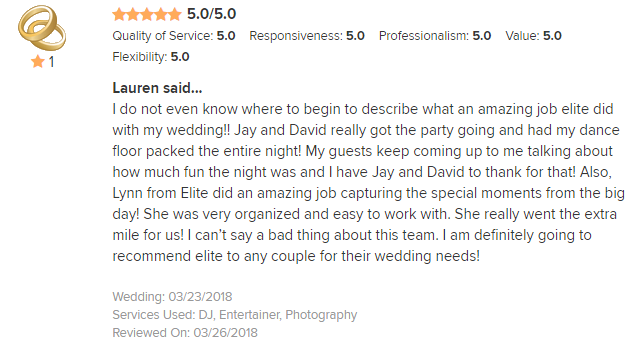 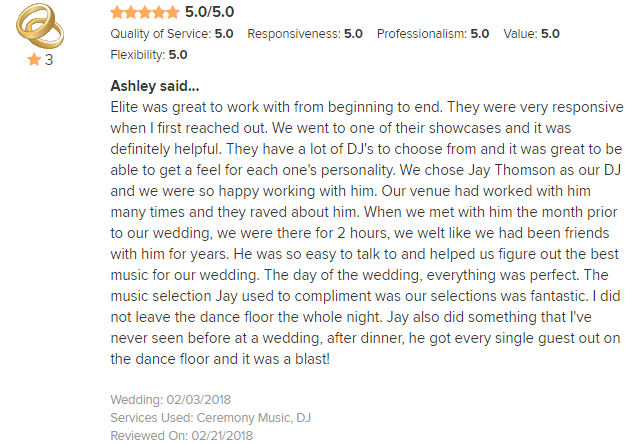 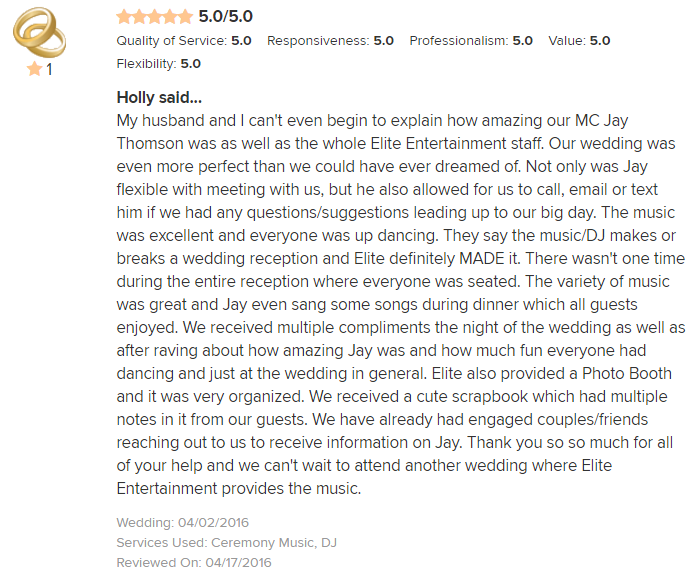 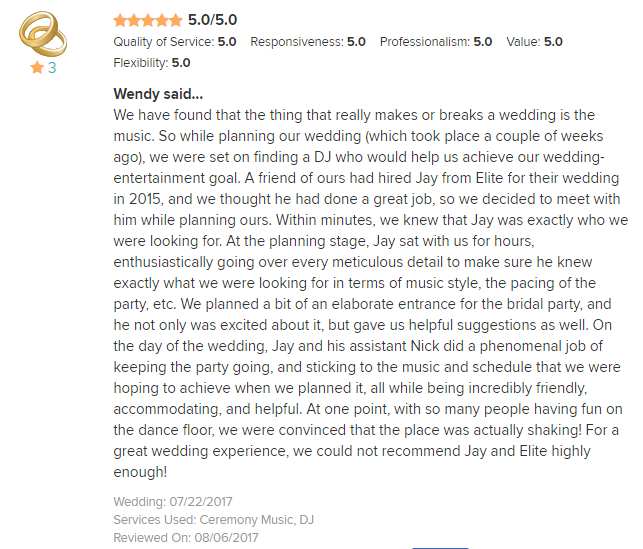 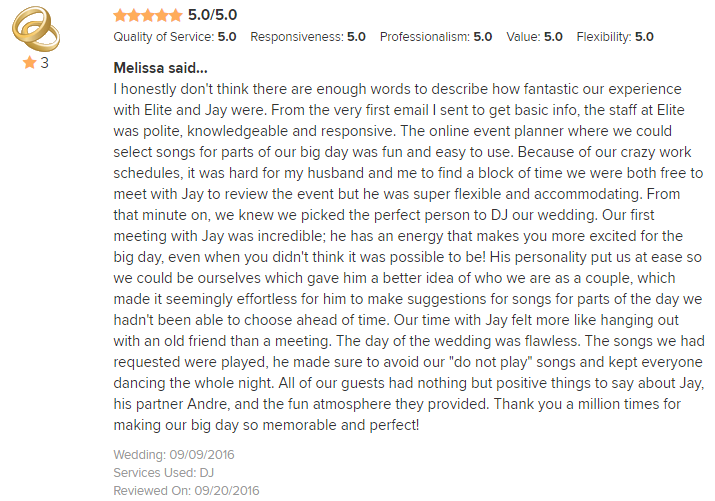 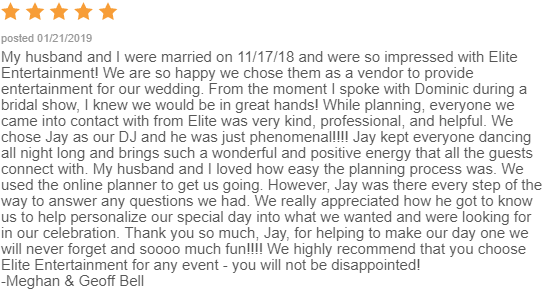 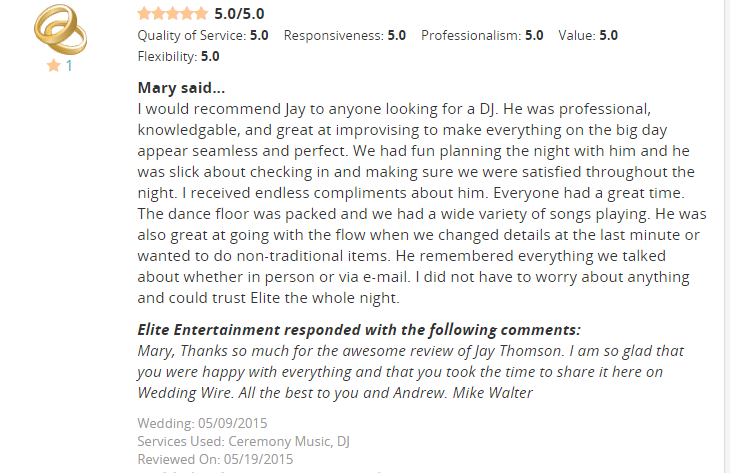 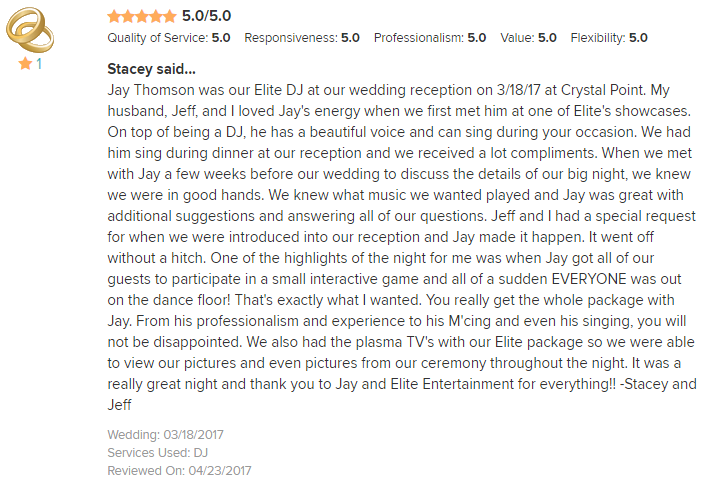 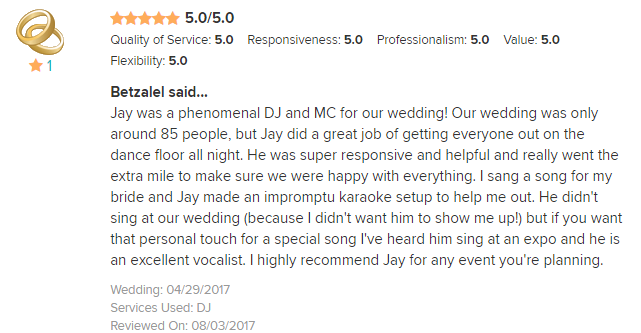 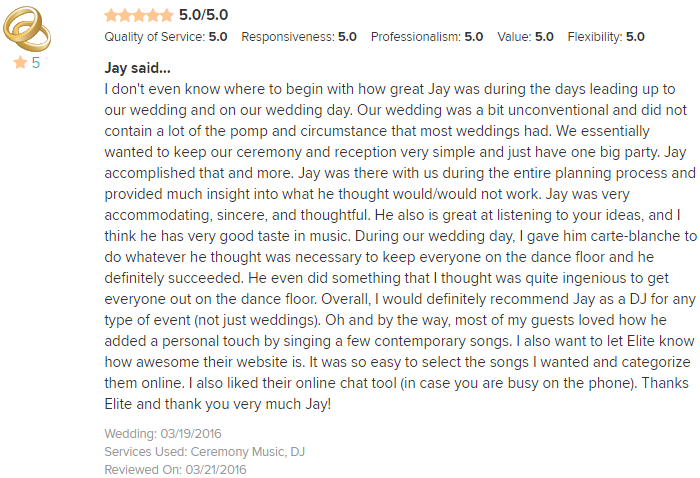 Jay takes the “customer service” part of being an Elite DJ to a whole new level. 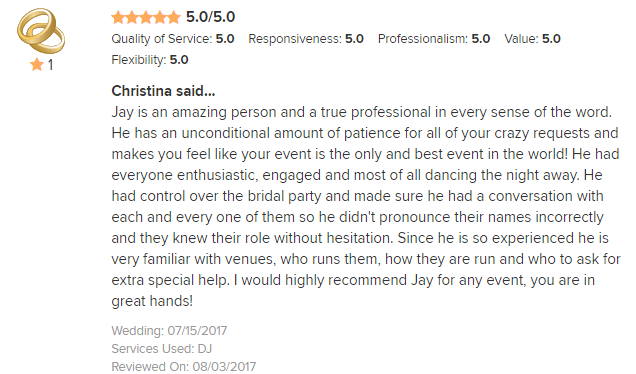 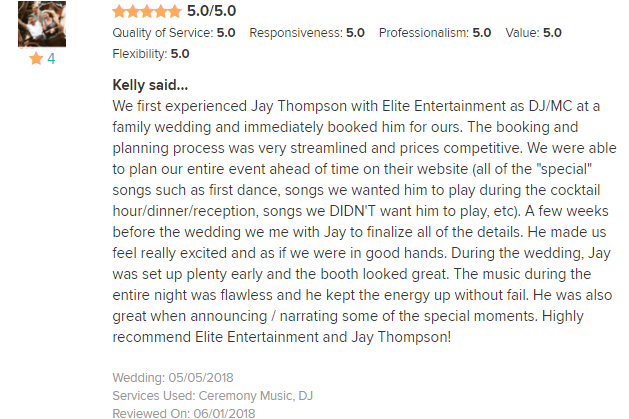 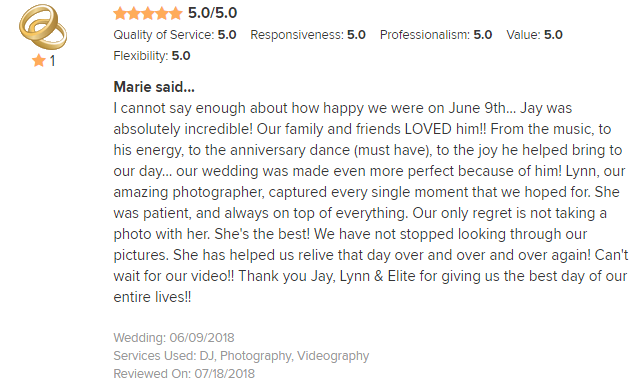 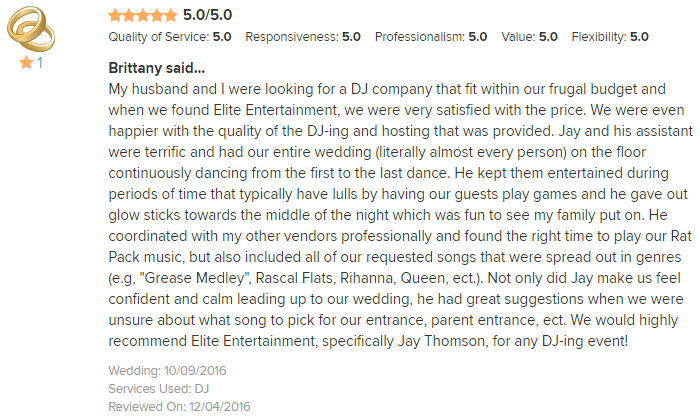 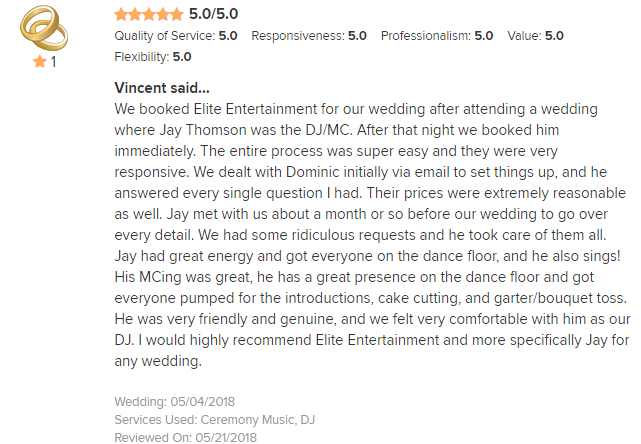 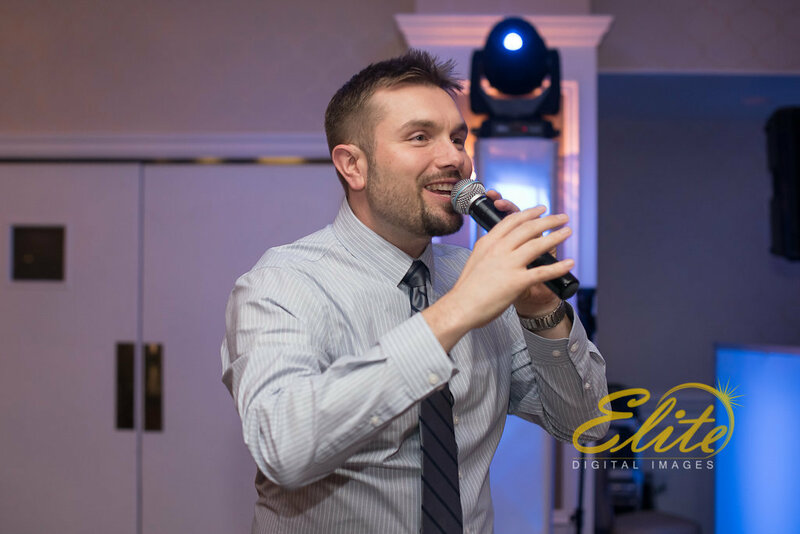 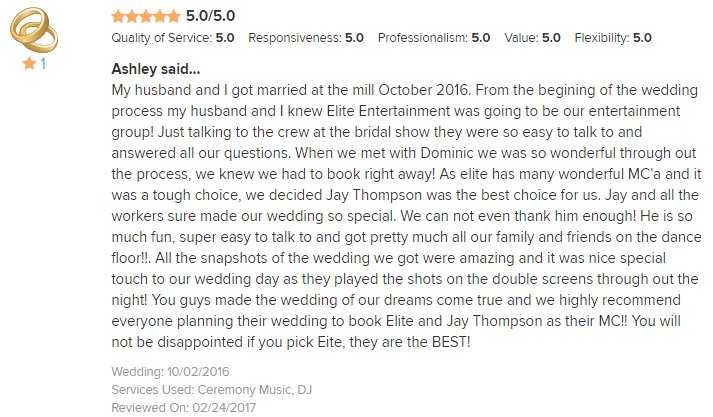 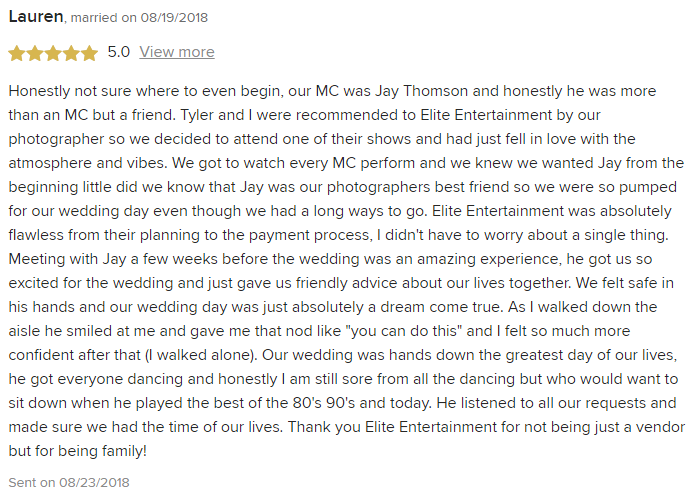 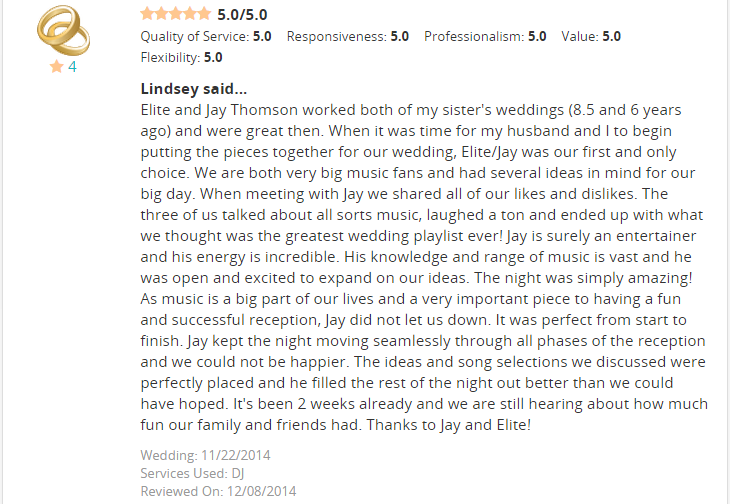 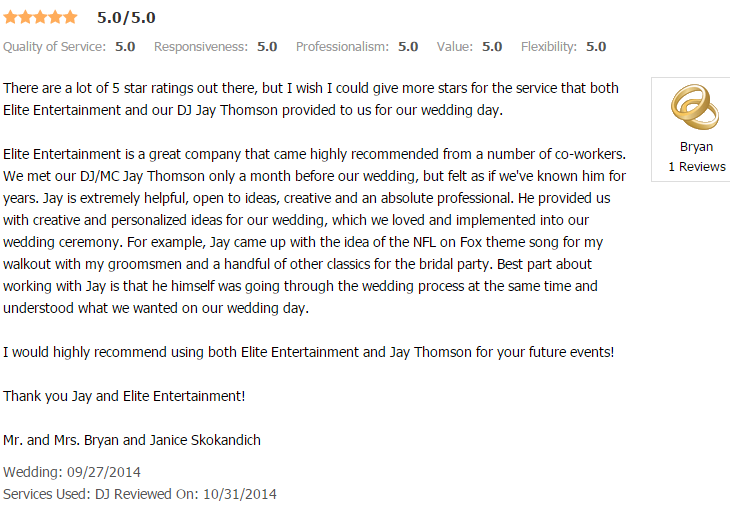 If you are looking for a DJ who’ll make your entertainment visions a reality, there is no better choice than Jay Thomson. 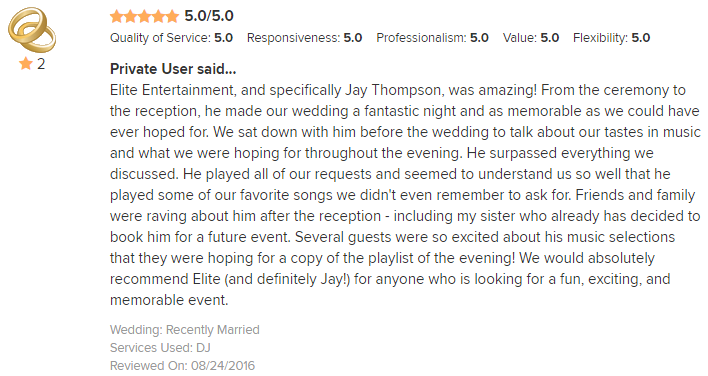 Make sure to check out some of his testimonials to get a taste of just how awesome Jay is.